Does your dog walk you or ignore your requests? Need a trainer? Check back soon for more information! The K9 Coach Dog Training in Charlotte specializes in dog behavior modification and obedience for the family dog. We also offer puppy, aggression, anxiety, rehabilitation, off leash and other custom dog training solutions. We offer private in-home training solutions and board and train programs. 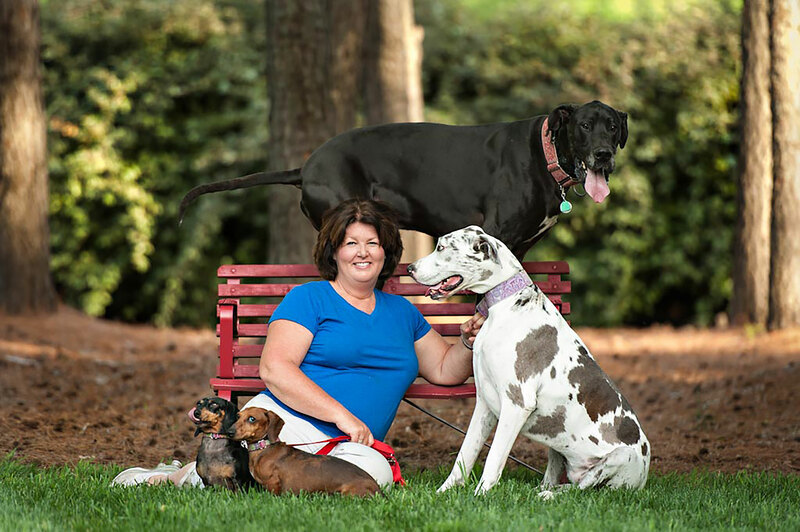 Dog trainer Dana Brigman and her team are Charlotte and Mooresville NC’s most trusted and successful dog aggression, dog obedience and behavior modification training expert. The K9 Coach also services Matthews, Pinehurst, Raleigh, Greensboro, Rockingham in NC, and Fort Mill in SC. Let us show you that every dog is a Praise-Worthy Dog. Even your dog. Preventing You From Leaving The House? Ignoring You? Jumping on Your Guests? Stop struggling — we can help — Even if other trainers have not. Contact Us to get started. You are just a few weeks away from a well-trained dog! Visit our website for links to our social media sites.